Dr. Grow offers a variety of books on growing cannabis. Our books are available in paperback and Kindle on Amazon.com. Two of our books are Kindle only titles. We will be publishing two more titles in 2014. When they are published, they will be listed here. Visit MarijuanaBooks.com for more information about our books. We have developed a bucket system for rooting clones and seedlings. Each rooting bucket can hold seven plants. The rooting bucket system is a complete system. It includes the bucket, lid, net pots, neoprene collars, a pump, fittings and a specially designed riser that holds spray heads to spray the bottoms of the net pots and roots. Instructions included. We are developing grow kits that people can buy that will include everything they need to start their grow (except for the location, water and electricity). We are working to include products that will be very efficient, grow a good quality crop, and be easy on the wallet. Each grow kit will include growing containers, organic soil, a light, a timer, nutrients and instructions. Our deluxe grow kits will include a grow tent as well. Check back for news on when these grow kits will be available, and follow @DoctorGrow on Twitter to get our latest updates. All of our furniture is currently in the design and testing phase. We will soon be raising money to go into production with these items. Starter Cabinet - this is a small cabinet that we have designed for use growing small plants and seedlings after they have some roots. You can use this cabinet to isolate your smaller plants and seedlings from the area where you are doing your regular grow. We have been testing this for a few months now and it works extremely well. Trimming Table - this is a regular 4-foot or 6-foot table that can be converted from a regular table to an ergonomic trimming station. After harvesting and trimming, it can be converted back to a normal table, and no one will be the wiser. Portable Trimming Station - this is a very portable piece of furniture. 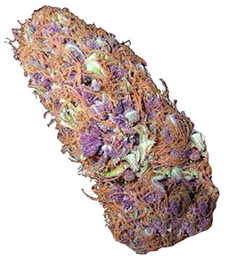 It can be easily stored in a small closet or carried to a location where harvesting and trimming will take place. This one is still in the design phase, but it is getting very close to being in the testing phase. As we add new items to our product line, you can read about them here. We also encourage you to follow @DoctorGrow on Twitter to get our latest updates.